We’re looking for part-time and full-time carers to work in Brackley, Northampton & Wellingborough. Find a care job that suits you by contacting our recruitment team on 01604 521029 today. Take the first step to making a difference in someone’s life. If you’re passionate about caring, we want to hear from you. As a carer for Loving Angels Care, you will play very important role in the lives of our service users, helping them to continue living in the comfort of their own homes. Whether living in the service user’s home with them or providing visiting support as needed, our carers support adults with a variety of health conditions. We offer flexible working hours for a healthy work life balance. Our management team are approachable, friendly & supportive. 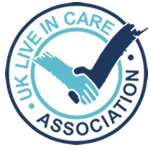 If you are new to care, you will receive support from your colleagues to ensure you are comfortable with your role. You will receive plenty of training and support to ensure you can provide care safely. We have refer a friend scheme open to all carers all year round. We have an open door policy and encourage all staff to make suggestions on how we can improve the work environment and service we provide. We're a local Northampton home care provider creating job opportunities within our community. What is the best time for us to call you to discuss our vacancies?